The Salesforce Summer ’14 release is just around the corner and with it come tons of new features for Salesforce1, Sales Cloud, Service Cloud, and Communities. We have highlighted a few of the new features below that we believe will enhance your Salesforce experience. One of the biggest fundamental changes in the Salesforce Summer ’14 release is that the Salesforce1 Mobile App is now supported on Windows and Blackberry devices. With this update, you can now download Salesforce1 on Apple iOS, Android, Windows, and Blackberry. Another new feature to the Salesforce1 Mobile App is the ability to jump between Salesforce accounts without needing to log in and out. You can now navigate between your Salesforce accounts and Salesforce communities on your mobile device with a single click. This will eliminate the hassle of needing to constantly jump between accounts and should make using Salesforce1 faster and simpler. Also new in the Salesforce Summer ’14 release is the ability to bring Canvas Apps into Salesforce1. Canvas Apps are powerful user level API that allow you to integrate third party web applications, such as your ERP system or finance app, with your mobile interface. The Salesforce Summer ’14 release has updated their Sales Cloud forecasting features to makes collaborative forecasting more efficient. With this update, sales managers can now easily see opportunity split details in the forecast tab, and they have the ability to see all of the team members who are contributing to the forecast and their split percentage. Another new addition in the Salesforce Summer ’14 release involves Salesforce for Outlook. If you are a Microsoft Outlook user, you can now create Salesforce records without ever leaving Outlook. The Salesforce for Outlook Side Panel now lets you create contacts, opportunities, tasks, and more from within Outlook, making it easy to reference your emails for record information, such as names, email address, and phone numbers. In addition, the Salesforce for Outlook Side Panel is now available with all Sales Cloud Editions. [button type=”success” size=”lg” link=”http://bit.ly/1neAiV8″]Want to Take Advantage of These New Salesforce Features? One new feature from the Salesforce Summer ’14 release that we want to highlight is the suggested search feature in Service Cloud. With the Summer ’14 update, when an agent asks a question in Salesforce Knowledge, Knowledge suggestions appear in a drop down as the agent is typing their question. This helps direct your agents to the correct search phrase, as well as to other successful keyword searches and article titles. Suggested search will make it faster and easier for your agents to find the answer they are looking for. Intelligent Chatter Questions is a new Salesforce Community feature that is similar to the suggested search feature in Service Cloud. Intelligent Chatter Questions enable your customers to find answers more quickly by providing suggestions based on their question. When customers type their questions into the Communities publisher, similar questions, suggested answers, and suggested Knowledge articles will appear in a drop down, giving your customers the answers they are looking for right away. 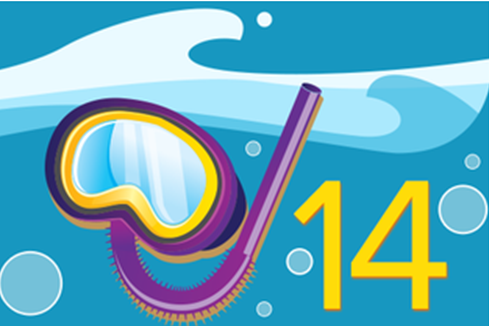 The Salesforce Summer ’14 release had lots of great, new features. Read the full release notes from Salesforce to learn about all the new features that are coming to your Salesforce instance.